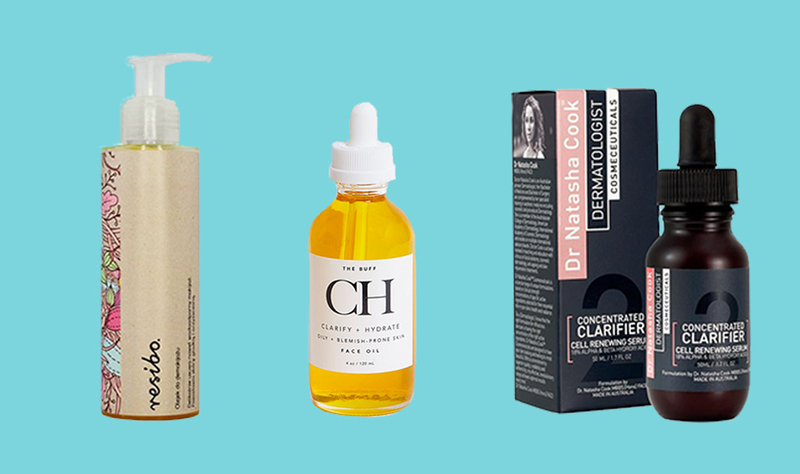 If there’s one thing we’re passionate about here at The Urban List (besides eating our body weight in food and knocking back delicious cocktails on the regs) it’s nailing down a skincare regime that won’t break us the hell out. So, with that in mind, we’ve rounded up all the tried and true products that have never steered us wrong. 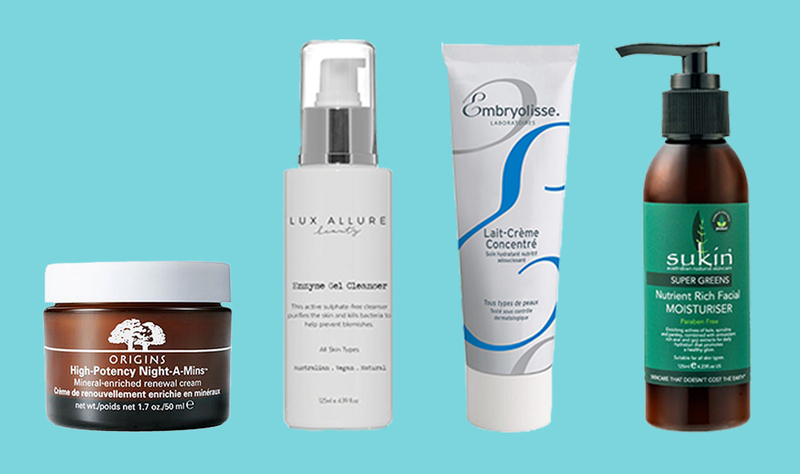 Here are all of our favourite skincare products for adult acne-prone skin. Cleanser is the backbone of any solid skincare routine and our hot tips (based on years of using the right—and very wrong—stuff) are to keep it simple, natural and sans extreme fragrances. Sukin is a fool-proof, vegan and cruelty-free carbon neutral brand that uses recyclable packaging and it’s even grey water-safe. And even with all that good stuff out of the way, it’s just a good choice for your face. After using this Gentle Daily Cleanser for over a year I realised it was probably a body wash and didn’t care a single bit. It’s fragrance-free, super gentle and is free of all nasties. Plus, you can buy a litre for under 20 bucks. Exactly as the name suggests, this cleanser is simple but it packs a big punch. As per Lush’s ethos, this product is all natural, sans nasties, and made with only ten ingredients—think almond oil, rosewater, beeswax, and honey. All you have to do is smooth this balm over your face, the dirt will cling to it, then you can just swipe it off with a warm damp cloth. If you’ve nailed down your cleanser and your moisturiser but want to next-level your skincare routine, you need a facial oil or serum in your life. We know oils can be scary when you’re acne prone but a couple of rules I have for myself when selecting oils is to go for an oil blend—essential oil formulas are a bit too intense for sensitive AF, breakout-prone skin. Touted as the natural answer to botox, I actually love this oil for its hydrating properties, the fact it hasn’t caused a single breakout and (let’s be real) the delish smell. A blend of marula oil, vegetable squalene (a key ingredient for hydrating the skin), buriti oil, vitamin C, butterfly lavender extract, and lakesis, this one’s a winner. If you just want something catered to your skin and not another bog-standard drugstore facial oil, you need to check out The Buff. Created by fellow Aussie gal, Jasmine Garnsworthy, The Buff takes your specific skin woes into account via a brief questionnaire and then creates an oil blend (see, the blend is key) from super high quality oils, specific to your skin. Plus, the bottle can be monogrammed with your initials and we love that. Formulated by Sydney Dermatologist, Dr Natasha Cook, this serum is a cell renewing anti-aging serum designed to increase your skin’s metabolism. Basically, that’ll help to calm down your acne, get rid of it and help with other skin issues like wrinkles, fine lines and pigmentation. Plus, it’s our saviour after a long haul flight. Warning: Your skin will tingle a bit when you apply this one but we promise that’s supposed to happen. If you don’t have a rock solid moisturiser in your arsenal yet, or have been using the same one since forever and have seen zero positive results, this one’s for you. You can either choose to forego a moisturiser altogether and swap in one of the face oils mentioned above or, give these a go. We love them and are pretty sure you will too. Origins is one of those brands that just nails it. From their pretty as a picture packaging to the natural ingredients and simplicity, I’m a huge fan. I’ve been using their lightweight GinZing Moisturiser gel for years, plus their oil-free High Potency Night-A-Mins for almost as long and have never had a single issue. The night cream is far richer than the day cream but used consistently and together is a winning match. Tip: for extra richness in your day cream, mix in a couple of drops of the Resibo oil serum. Created in sunny Bondi, this au natural skincare brand is beautiful, vegan, cruelty-free and most importantly effective. We love to go all out with this range and pair the enzyme gel cleanser with the enzyme toning mist and end on the enzyme moisturiser (all the enzymes). There’s a reason people wax lyrical about cult French beauty brands, and this cult face cream is up there as one of the best. Embroyolisse’s Lait Crème Concentrate was originally created for medical and cosmetic use in 1950, and to this day is paraben-free, dermatologically tested, and uses natural calming actives plus the benefits of shea, beeswax and aloe vera. A light formula, it’s gentle enough to let your skin breathe but with all the punch of a thick cream. Another one for the budget ballers and Sukin lovers alike, this Super Greens moisturiser does its job without making a fuss. It has only a subtle scent and is a similar vibe to Lush’s Ultrabland and Sukin’s Gentle Daily Cleanser—AKA it’s simple but effective. Only recently, I was watching a skincare routine on YouTube and had my mind blown by the concept of hydrating your acne rather than drying it out to get rid of it. And while this may not be news to some, it rocked my acne-prone, skincare-loving world of dos and don’ts. 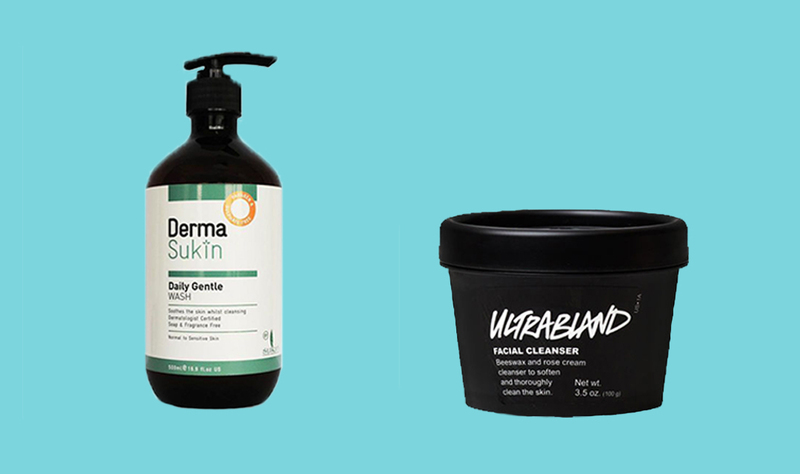 So, with that in mind, here’s to next-level hydration, glow, and being gentle with our skin. Oh Dr Jart. Just marry us already? When it comes to choosing which sheet mask to use from Korean beauty brand Dr. Jart, the world is your skin-drenching oyster. Each mask has only a handful of ingredients (always a good thing in our eyes) with a couple of our faves including the V7 Toning (for overall glow and good skin days), Clearing Solution (overuse will probably dry your skin out so once a week or fortnight is plenty for this one) and the Ceramidin mask for everything you want in a mask. Ceramidin is my top pick for hydration, calming, decreased redness of existing spots and overnight plumping. 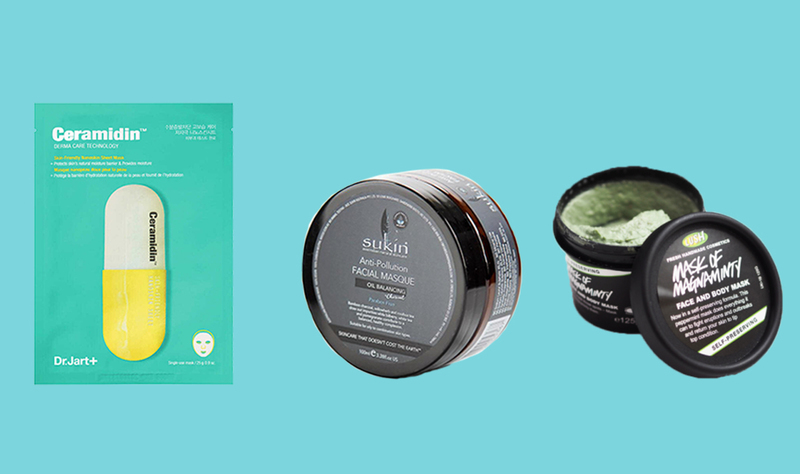 Each mask will set you back around $9 at Sephora but we recommend either buying the bulk pack of five (you save yourself about a tenner) or scour your city for a Korean beauty shop because they’ll likely be cheaper. Another cheapy (but damn goody), this mask by Sukin is cheap as ($16.95 for a pot) and made with bamboo charcoal, moringa extract, quince, bilberry and pomegranate. Sounds delicious, no? Basically, this just calms my acne’s farm and I usually double mask—basically just do this one, wash it off and follow up with your face sheet mask. A multitasking mask that sounds simply edible, the Mask of Magnaminty by Lush is one of my faves (especially when combined with the Dr Natasha Cook serum mentioned above). With 13 ingredients like honey, vanilla, chlorophyllin and peppermint, this cooling mask will help to calm breakouts and prevent new ones. We can confirm. Blemish spot treatments are a tough one and unless you find the right one, it could just do more damage than good—or have no impact at all. With that said, I’ve settled on one product that’s a cult fave for a reason. A simple product designed to heal and dry pimples quickly (as in, overnight quickly), this drying solution by Mario Badescu is a blend of calamine and salicylic acid. Fight your urges to shake this product and instead, dip a cotton tip through the clear liquid into the pink cream at the bottom then dab on your spot before bed. Voila! CYA later pimple. Okay, so only one device. But it’s really freaking good! If you’re still reading this article, you’re probably hanging out for the exfoliation portion and, if that’s the case, I’ve got some bad news for you. 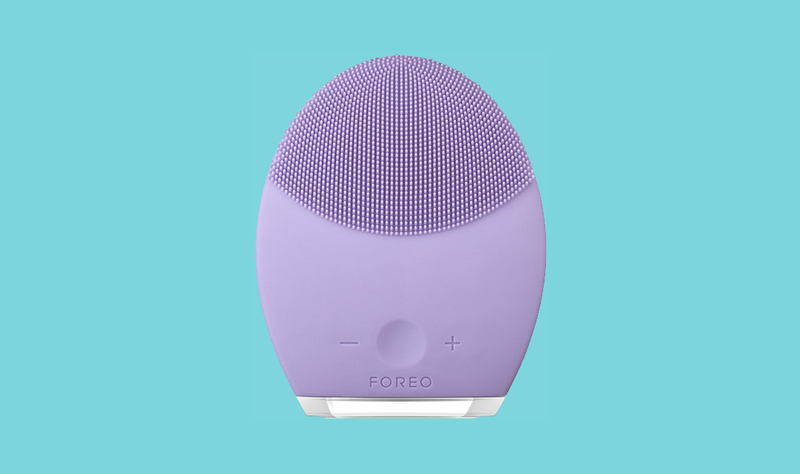 Scrubs can do more harm than good, often inflaming sensitive areas (and don’t even get us started on the dreaded micro beads), so this, friends, is where the Foreo Luna 2 comes in. After using this device for a couple of days I saw a huge improvement in the texture of my skin. The gentle T-sonic waves not only help to gently exfoliate but also plump skin and give it an overall softness, you feel? This one is absolutely an investment, but also probably the best one I’ve ever made. In beauty related news, glass skin is now a thing—but WTF actually is it?